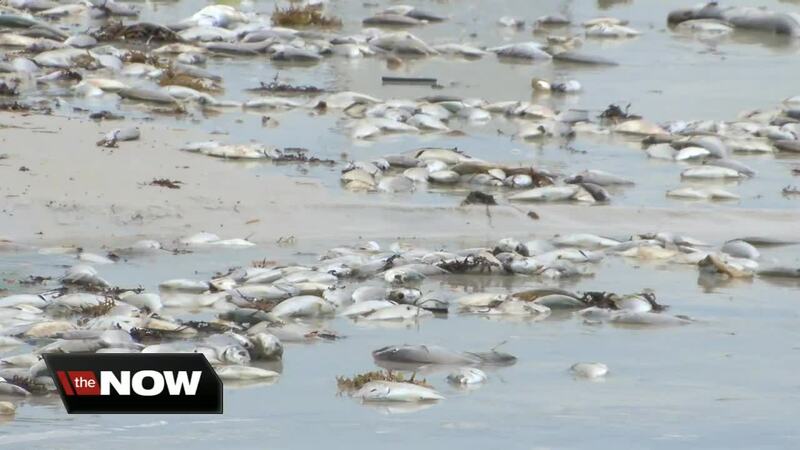 SIESTA KEY, Fla. — Red tide continues to devastate the wildlife on Siesta Key with thousands of fish spotted on the beach Thursday afternoon. “It’s just a shame I’ve never seen anything like this,” said resident Joan Stone. Kathy Honor is visiting from Canada. She said the red tide is nearly running her vacation. 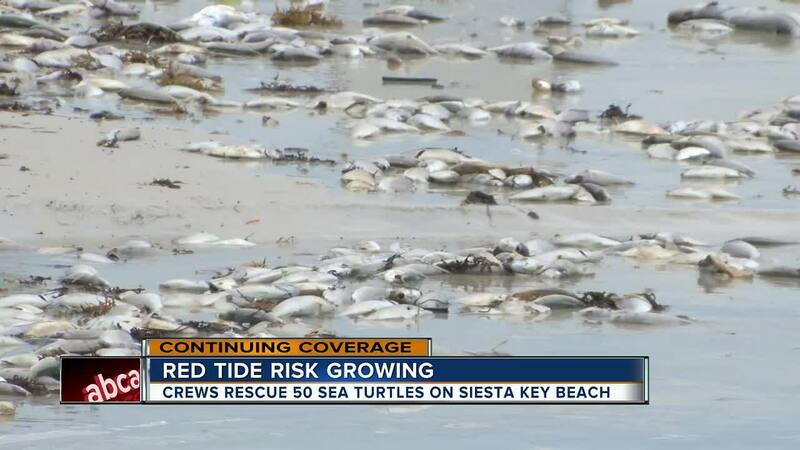 RECOMMENDED: Red tide killing fish on Siesta Key, scientists fear it will continue to spread to Tampa Bay. "Your throat starts to constrain and your eyes water,” said Honor. Scientists with Mote Marine said they are rescuing sick sea turtles. They’ve rescued about 50 so far. "They are uncoordinated and disoriented when they come in,” said scientist Gretchen Lovewell. Lovewell said the turtles recover quickly. "With good fluid therapy and food we can usually turn these animals around pretty quickly," said Lovewell. 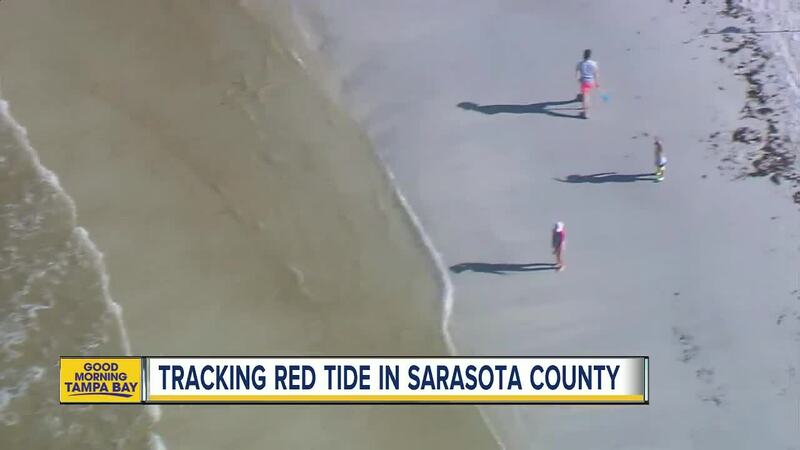 Scientists said red tide moves with wind and currents, but they are hopeful that it will leave the Siesta Key area by the end of the weekend.